A picture is worth a thousand words…and the emotions just one photograph can stir within can sometimes catch you off guard. It sure did for me so I’m sharing some thoughts openly as we begin a new year. There are occasions where things that happen in ones past should stay there…in the past. Too uncomfortable to recall. Too painful to drudge up again. On the other hand there are instances where remembering the past can be a gift. A gentle whisper of something we temporarily forgot, of ideals we once pursued, and of moments that we would love to live again. It reminds us of what could still be. This picture is all of that for me and so much more. Twenty-four years ago today, on January 8th, at 11:30 a.m. I boarded an Alitalia plane in Italy with a small team bound for East Africa. 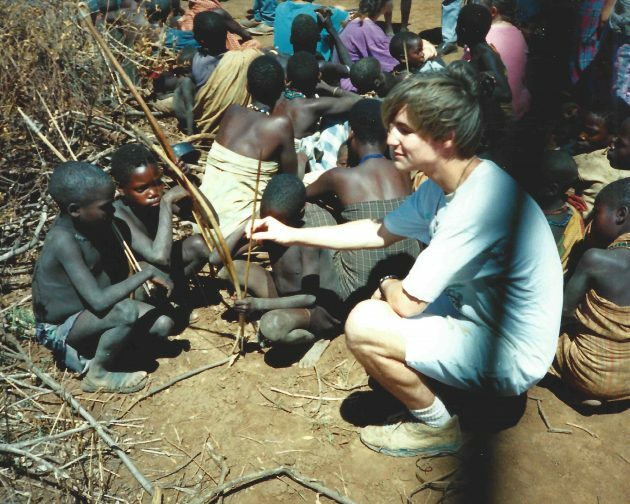 We would spend nearly two months in various villages, and tribes trying to help those living in poverty. Bringing much needed supplies, labouring with locals to build a school, and numerous other practical need initiatives. We were there to change their world for the better but interestingly I think we were the ones that benefited the most. We were the ones that changed; I was changed. Two decades have past and while I still try to make each day count and live with purpose, some of the well meaning values I prioritized back then have taken a back seat. They’ve been hidden much like this picture was…quietly tucked away in a photo album. It’s not that those principles are no longer important to me it’s just that life happened, it got busy with the usually things like college, career, marriage, and kids. And before you know it you realize your parents were right ~ time flies. But now that I have rediscovered this picture can’t help but wonder how I can do more with what I have. It beckons me to rekindle those beliefs as the foundation for making 2018 the best yet. This does not mean that this years success is measured solely by acquiring more stuff, buying more properties, or even making more money (sounds crazy right)? Rather it announces boldly that I already have everything needed to make a difference in the lives of those around me. All of us do. As an example did you know that a $30k/year income places a person within the top 7% of the worlds wealth. Make 50K/year and your in the top 2%. How privileged we are to live in North America! We already have the upper hand, the scales have tipped in our favour and it’s up to us to not just gather more wealth to pad our nests, but rather use these advantages to help others. And it’s not just about money. While giving is good, regardless of what your income level is there are so many ways we can contribute: register as an organ donor, share skills with students at an after school program, bring your family pet to a hospital or nursing home, help a single parent with babysitting for a night off, and the list goes on. 2. serve someone with (food or drink). 1. the action of helping someone to do something; assistance. May this post encourage you to take a moment to reflect back on some old photos like I have …there may be one that sparks you to resurrect a dream you once had, a big idea, a bucket list endeavor, or anything that supports even a slight course correction for the year ahead that will have lasting impact in someone else’s life. And here’s more good news… there no travel to Africa required. We can start right here in our own backyard and watch the impact of that decision. Imagine what could happen in your family, or with your neighbors? How could your office be changed or even your city? Why don’t you make a decision with me that this will be a year of giving and generosity towards others? Let’s do something for someone that cannot pay us back. 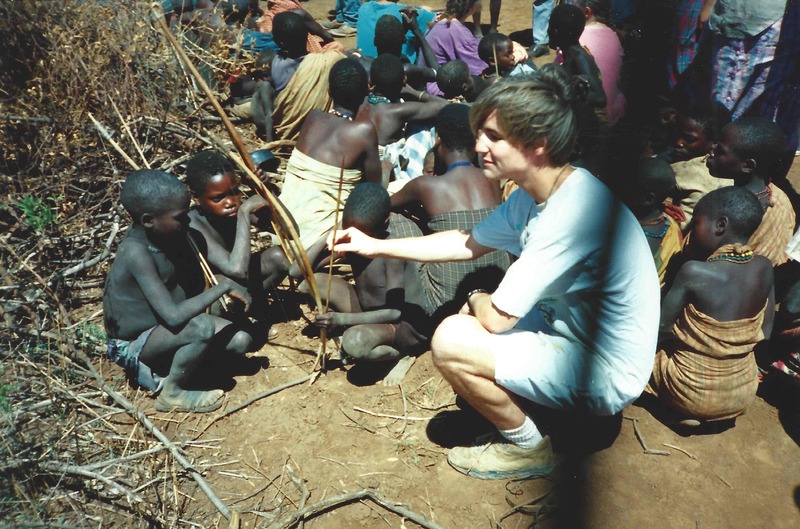 Yes we’ll be making a difference in the recipients life but like my trip to Africa – we may be just as surprised at the change it brings about in our own life.